Microsoft’s Flight Simulator was, up until its discontinuation in 2009, the longest running game franchise in history. The decision to stop production left many fans unhappy. Surprisingly, Redmond actually listened and began development of new flight simulator known as Microsoft Flight. Flight has no release date, but the game’s development has progressed far enough for the game to open its doors to beta testers. 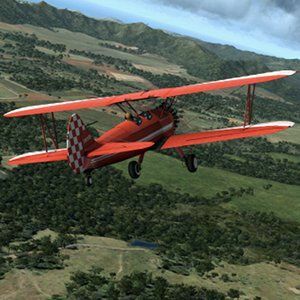 Virtual pilots interested in taking the controls of the new game can now sign up for testing that is to begin in January. You will need a Windows Live ID to put your name on the list, but otherwise the application is free and open. Microsoft hasn’t released any information about how many testers it plans to accept, however. Beta testing this new flight simulator Feel The Need For Speed with Google Earth's Flight Simulator Feel The Need For Speed with Google Earth's Flight Simulator Read More may be particularly exciting for fans of the franchise because of the lack of details available about the game so far. Microsoft’s website for the new title is merely a skeleton that only reveals the game will involve planes, online content, and social connectivity The 5 Best Open-Source Social Networking Software The 5 Best Open-Source Social Networking Software Read More . Gamers who manage to dive into the beta will be receiving a first look at what the Microsoft really has in store for sim fans. Now let’s hope there isn’t a restrictive NDA that prevents them from talking.